Back to School time is here. School is really starting. It’s a fact, not just a marketing ploy that started months ago. 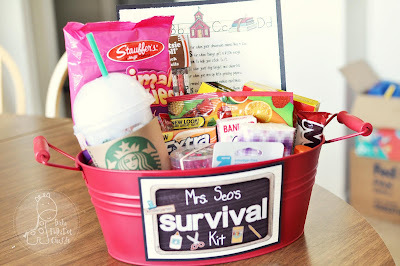 I know because I’ve seen really cute and crafty back to school themed projects all over the internet. Amongst them have been many back to school themed gifts for the teachers- school supply cakes and pencil vases and pencil wreaths and survival kits and Astrobrights everything, and ____ (you fill in the blank with the crafts you’ve seen). A back to school gift is new to me. I haven’t seen these gifts at the middle school level, and I certainly haven’t been giving them to my sons’ teachers either. Good news? While these are incredibly cute and extremely thoughtful… they’re not the only thing you can do during this wild start to the school year. There are LOTS of ways to help out in your child’s class and school. Does your line of work or expertise go hand-in-hand with the curriculum? Let the teacher know at the Open House or Back to School Night just as a heads-up. Planning a year’s curriculum takes, well, lots of planning. If you can start a ball rolling early, hopefully it will be able to come to fruition and benefit the kids when it’s most pertinent to what’s going on in the class. Food is always appreciated. Really, who doesn’t like some good comfort food during a stressful time? Gift cards to Target, Barnes & Noble, Office Max, Staples, etc. 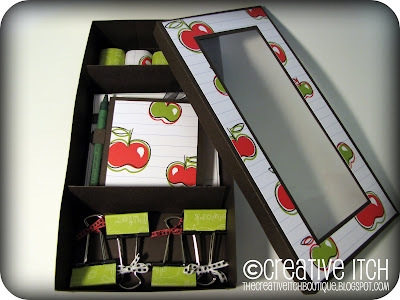 are wonderful so the teacher can get what he or she needs for the classroom and it will help with the inevitable out of pocket expenses teachers incur. Don’t worry about the amount either. I don’t know a single teacher who doesn’t appreciate the $5 ones as much as the $20 ones. Coffee or Tylenol PM or both (Used in the correct order, these work. )- I wasn’t kidding about not getting sleep at this time of year. I often wake up around 2 or 3am and can’t go back to sleep because of everything running through my mind. I’ve heard many others talk about it, too. I'm linked up with Home Stories A2Z & Savvy Southern Style!